With the Brexit deadline pushed back until October 31 and British MPs on holiday, the chaos surrounding the UK’s exit is no longer at the forefront of many European minds. However, emotions were still running high when European lawmakers met in Strasbourg on Tuesday to debate the delay. EU leaders decided to extend Brexit until the end of October after much debate during an emergency summit in Brussels last week. UK Prime Minister Theresa May had requested a delay be granted only until June 30, but the European Council decided it would not be enough. Some — including Belgian MEP Guy Verhofstadt — are sceptical that MPs will be able to find a compromise in the next six months. “Everybody knows that the 31st of October is in fact too near for a substantial rethink of Brexit and at the same time too far away to prompt any action,” Verhofstadt said in Strasbourg on Tuesday. "Let’s resist the siren song of the far-right with its politics of division, hate and fear," Cato said. 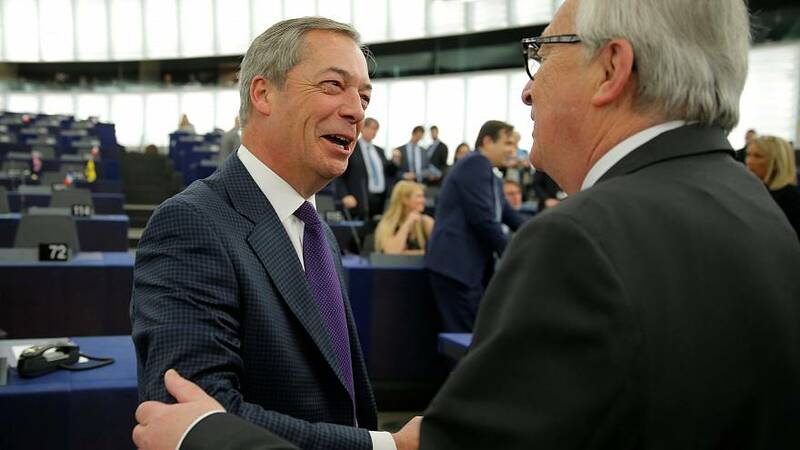 UK Brexit party leader Nigel Farage conversely urged the British electorate to use their "burning anger" to incite a "peaceful political revolution".